Jobs at Cartamundi Ireland Ltd.
Cartamundi Ireland Ltd. formally part of Hasbro Inc. is the largest European games manufacturing plant in the Cartamundi Group. The Cartamundi Ireland Ltd. story began in Waterford in 1977. 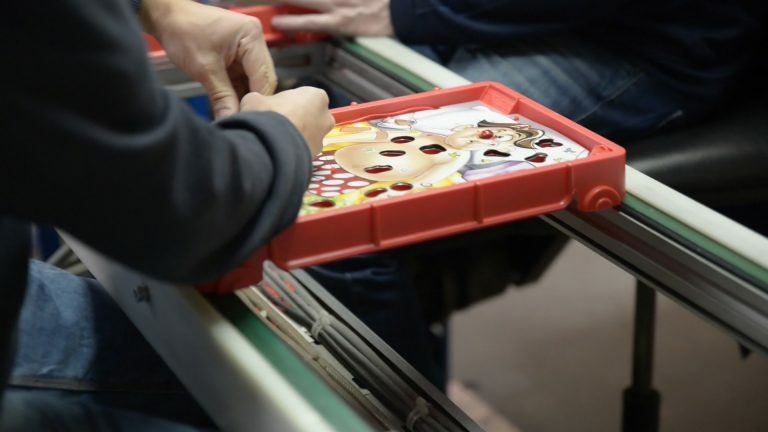 Today, we are one of the largest board games manufacturers in the world. Are you familiar with well-known brands like Monopoly, Guess Who and Trivial Pursuit? Well, we make them! However, producing board games is more than just a game for us. Our mission is: “sharing the magic of playing together”, and that is exactly what we do. We bring people together, all around the world. Cartamundi’s business is booming. Our colleagues live all over the world, from Singapore to Brazil, from Dallas to Tokyo and here in Waterford. The individuals who make up the Cartamundi team all share certain attributes, passion, and pride in their work. We are proud to be part of a company that tries to make the world a little bit nicer, one game at a time. We rely on each employee to deliver outstanding results to contribute to and grow our business. In turn we recognise that each employee has unique talents to offer and we provide training and support to respond to your professional and personal growth. We continue to seek new talent to contribute to our growth and development. We need innovative, passionate and flexible people to join the Cartamundi team. Do you want to contribute to our success story? To join our team get in touch and apply online by filling in the the application form below. Do you want to work with us, but don’t immediately see a job opening that matches your profile? Then fill in the application form and we’ll see how we can use your skills.